ZEE family IPTV service, ZEE UK started an IPTV service for UK named ZEE Family. British family network ZEE has launched a new service of IPTV, Zee family for UK subscribers. Like the Ditto TV service, the Zee family IPTV service is also available on the Web browser, as well as this service also has compatibility with a variety of devices, including iOS, Android phones and tablets, and smart TVs from Samsung. 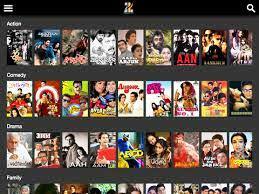 The application will allow network users to watch ZEE channels and new Bollywood films online. According to the site of Zee Family "viewers will have the opportunity to watch new films and have the freedom to buy brand new films, while its premiere to be in theaters! New, original content exclusively on the Zee family IPTV service. Enjoy comedies, dramas, thrillers films, children's programs, news, Bollywood gossip and more! only on Zee iptv"
Zee family UK will give viewers live streaming of all Zee network TV channels and the ability to rewind and pause live TV while watching zee TV channels online.